I just Googled Model Rail Shops New Zealand, and got nine contacts. I doubt you will find any with free shipping except from some e-bay sellers & perhaps Hattons could be the next best thing in comparing local prices to that ex UK. The second one we cannot do much about... New Zealand is far enough away from Australia let alone the majority of the group here. The first depends on what you have in the way of space, finances etc as to how you can fill that space. Everyone's layout grows from a minor size to a the various sizes you will see on any web site. My own layout is a 4x8 ft (2.4m x 1.2m if you are purely a child of the metric age) and has only had a couple of island extensions. There is a thread on this forum that perhaps bears your reading ... the following link being one of my replies relating to growing a layout. The rest of the thread does bear your reading as all of us have dreams beyond our available space and in the case of that thread, there were few clues as to the practicality of the hobby. I also have an article which I can send to you about building a layout also growing it so if you are interested, send a Private Message with your email and I can send it to you. My own website related to that layout is at http://xdford.freeasphost.net so run with that for now... and there are some ideas you can use to make cheap lineside stuff. I have got an idea or two how you could make a few items of rolling stock but I will need to get my current thoughts in order. Trade Me in NZ has some wagons. Avoid old Lima, as it is often HO. The North Shore club in Auckland has an OO section. Buying and selling within a club and joint orders are common. Join a club that has members who model OO. They also know when somebody is changing scale, leaving the hobby or when an estate sale is coming up. 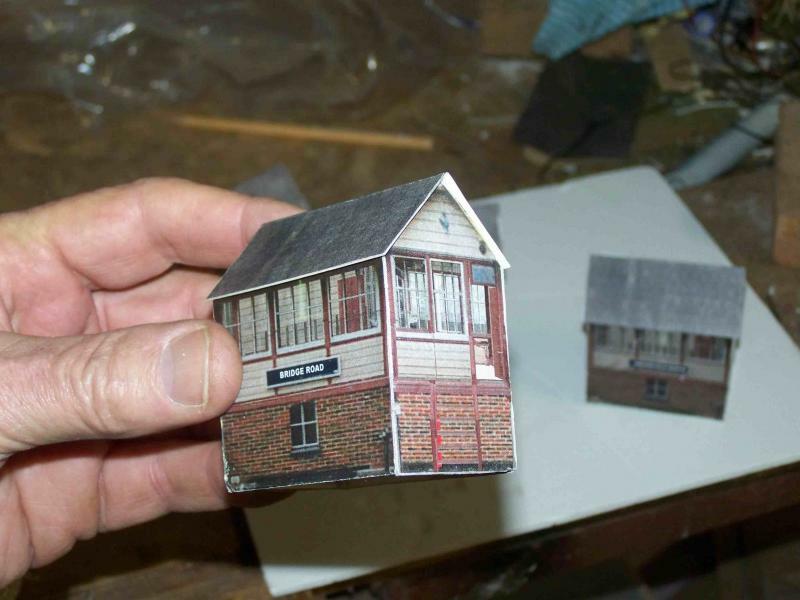 Model train shows can be a useful source of second-hand stock. The one I went to last weekend had some OO wagons and carriages, and a Hobby Intercity 125 set. Order kits, it can keep costs down. Especially brass etches, which are usually flat. Build your own. The various bits are a lot cheaper to ship than wagons. 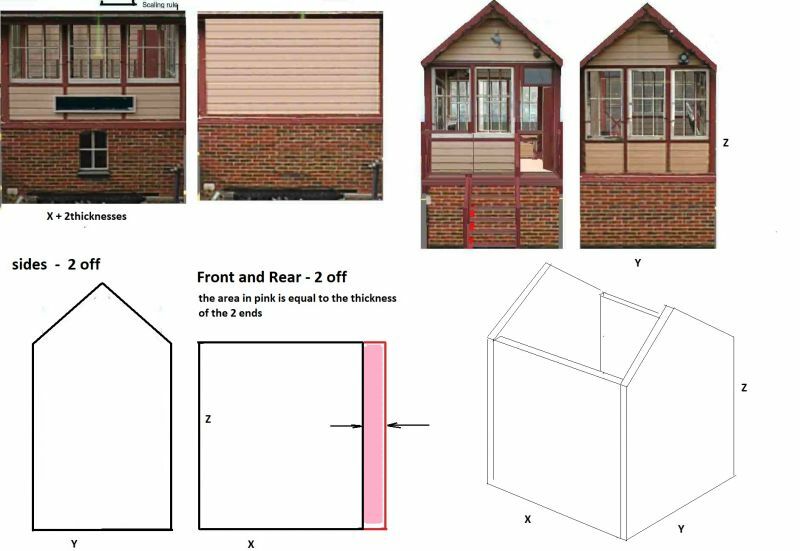 Alan Gibson Workshop or Markits usually ship at cost. Most of us use Hattons. Buy locomotives locally unless you don't care about any warranty. Cultivate friends in far away places who will go shopping for you and charge the actual postage. Travel often and use your baggage and customs allowance. Rail usually gets excluded from carry-on. That said, you seen to have a good store in Auckland - Hobby City. Nothing beats real browsing. how can you weather wagons with coloured pencil but not a water colour pencil? Check out http://xdford.freeasphost.net/stag21.html and follow the links. You can get backing foam core from a picture framers to make the boxes for the printouts - my local framer gave me mine so the buildings were really cheap. When you get to the bottom of the page, click on "Next Page" and check out that there are 6 or 7 buildings plus others. Again, give me a few days as there is some business stuff I need to deal with and I will try and draw a tutorial for how to make them! A tutorial will be coming later! 4. I printed my buildings using an A4 single section peel off label, squeezing as much as I could onto the sheet and stuck it to the outside once it was cut. The Roof was simple enough as it is black painted card. If you want to represent tar paper ( or Malthoid as we call it in Australia) use a layer of masking tape and paint that black. Alright they won't be "free" but they will be dirt cheap to make and from a normal viewing distance, they will look good. This may have cost me about $1 - certainly no more than $2 as the picture framers are quite happy for the foam core not to be used in landfill and pay for it when they can give it away... the same for the card I used for the roof. My web site has 11 of these and all you need to do is scale them following the instructions. is dry brushing a plank wagon such as a hornby plank wagon a good idea i was wanting to weather my wagons but I don't have an air brush or any special items but plain coloring pencils (not water colour) and paint brush and paint.